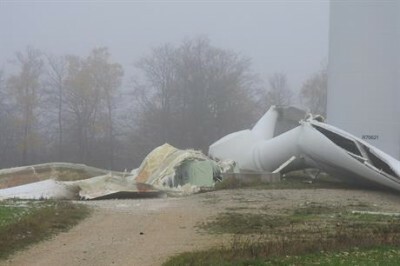 WHEN the wind don’t blow, or the subsidies cease to flow – the power doesn’t flow and the windmills will GO! Claims that wind turbines run on the smell of an oily rag and last for 25 years are a proven nonsense. What wind worshippers tend to forget is that these things have a useful (that is to say ‘economic’) lifespan of around 12 years. Subsidies are what built them. Subsidies are what run them. So, when the subsidies run out, it isn’t long before the only remaining force at work is rust. No country went harder or faster than Germany, when it came to spearing wind turbines and splaying solar panels as far as the eye can see. The cost for German households and businesses, in terms of rocketing power prices, has been colossal and the effect on its grid is both costly and chaotic (a point picked up in the second piece in today’s post). But first, here’s what happens when the subsidy plug gets pulled.